Site of a church. In the 12th century a small stone church was built here, in the Romanesque style with a chancel and nave. 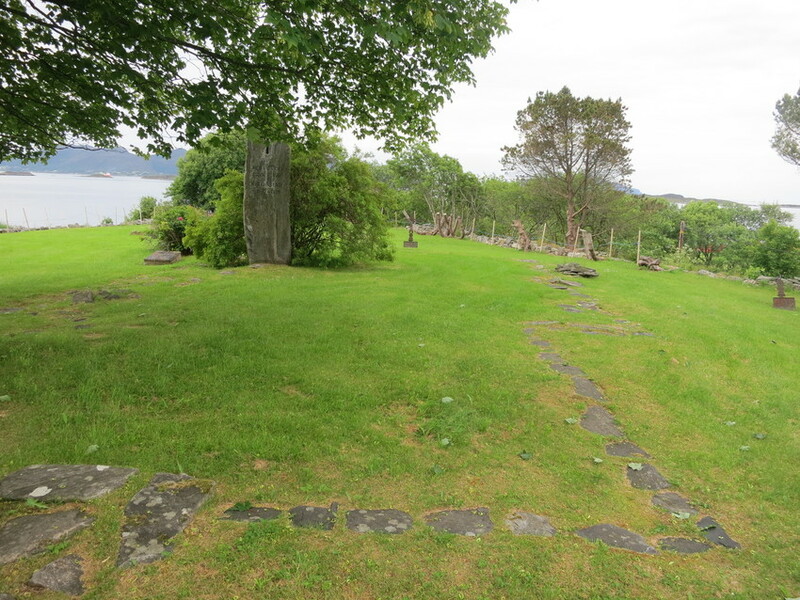 An outline of the old church is still visible in the stone slabs in the graveyard. It was whitewashed both inside and out, with marble round the doors, windows and corners. 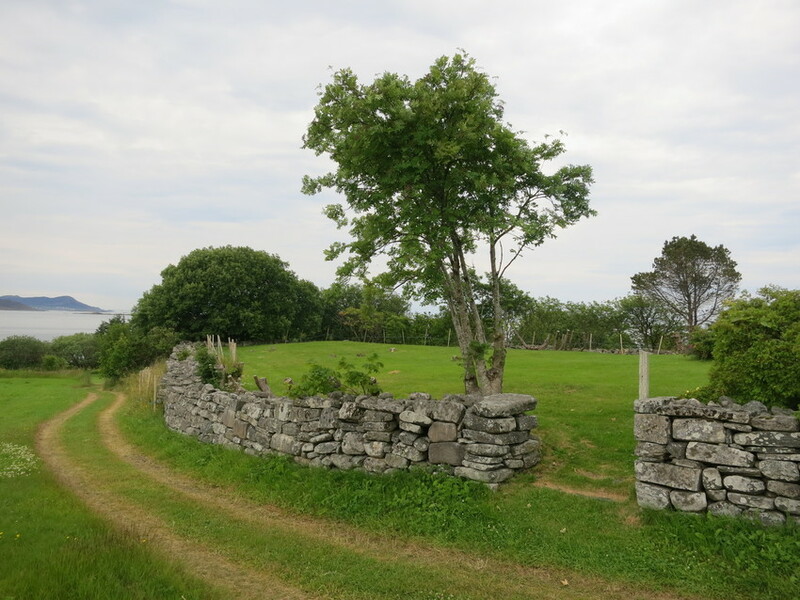 Perhaps the marble came from a quarry on the island of Borgarøya? The church was clearly visible from the shipping fairway and a central feature of the area. At the end of the 18th century it was owned by Christoffer Rønneberg, the merchant on Kriksholmen. In 1798 it was purchased by the local inhabitants. The verger Peter Nilsen Scheide put a huge effort into the maintenance of the building. On 30 October 1847 it was struck by lightning, leaving the tower and walls so damaged that a new church had to be built. A new octagonal wooden church was erected just beside the site of the old church, the last of its kind ever built in Sunnmøre. 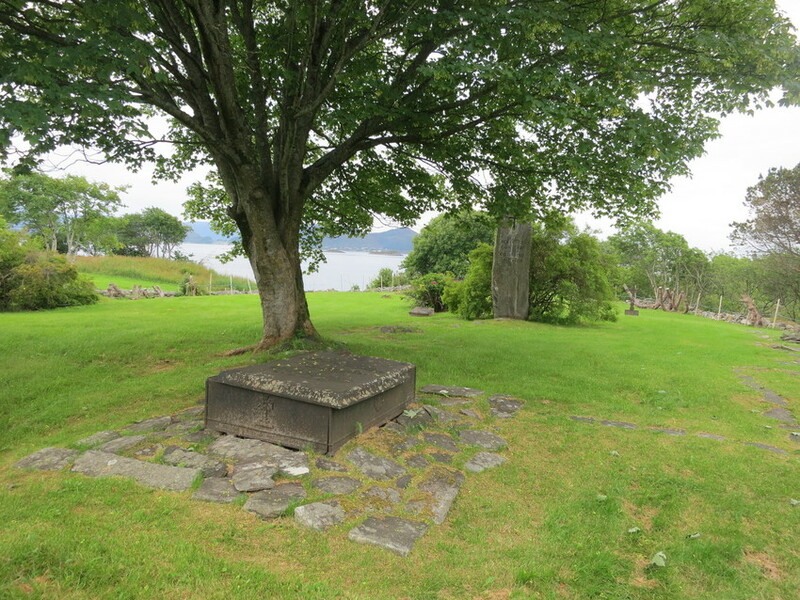 It stood here until it was moved to Ulsteinvik in 1878.